Start your vacation in one of our spacious RV sites. 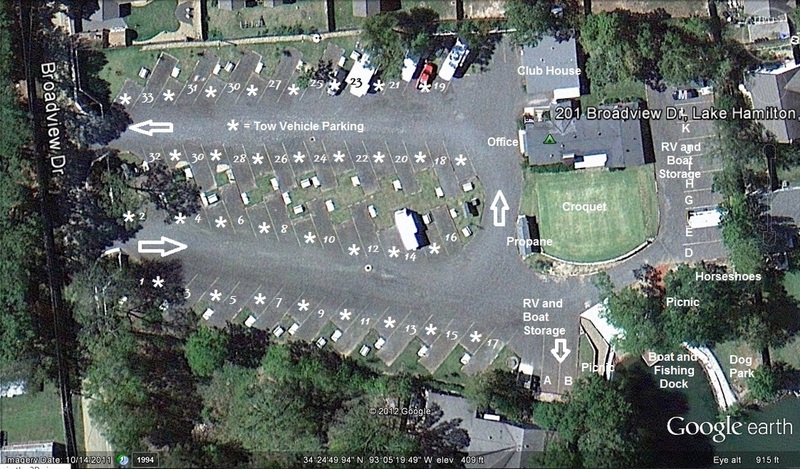 Not only do you have up to 60' to park your RV you also have tow vehicle parking right next to your RV. I hope that this map will provide you with a quick overview of the park. lounge, showers and restrooms, laundry, meeting room with kitchenette and exercise room. Located on the shores of Lake Hamilton, fishing, boating and all types of water recreation are available. For a printable map, click on the map image.